Before you take to the skies to save another innocent from the clutches of evil there's just one thing you're not going to want to leave home without - these spiffy looking Thor Goggles! Sure, you're Thor, and injury doesn't come easy to you, but it doesn't mean you can't protect your eyes from flying debris! 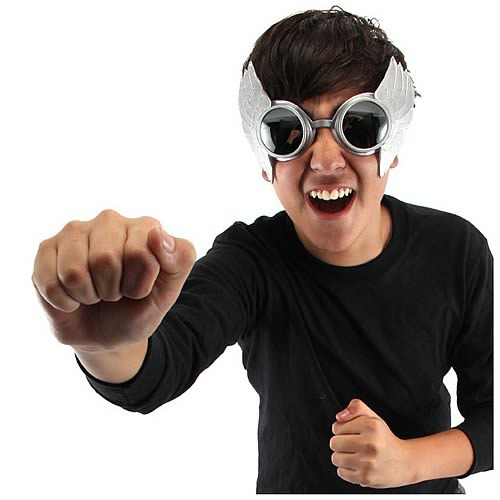 Complete with wings that cover your ears, these Thor Goggles are the ultimate Avengers accessory. This goggle measures about 8 1/2-inches wide. Ages 3 and up.